Ben Jackson/Getty Images for SiriusXMAlex Jones, of Infowars, and Roger Stone, former Donald Trump advisor, debate with Jonathan Alter during an episode of Alter Family Politics on SiriusXM at Quicken Loans Arena on July 20, 2016 in Cleveland, Ohio. Mark Zuckerberg reportedly suspects that infamous Infowars founder Alex Jones wanted to get banned from Facebook all along, for the attention it would give him. Indeed, the official Infowars app has shot up the Apple and Google app store charts in the wake of Facebook’s actions. The tech giants are cracking down on Alex Jones – and his public profile is skyrocketing in the aftermath. Over the last few days, numerous big tech firms, including Facebook to YouTube, have banished the often-controversial conspiracy theorist from their platforms, citing their rules around hate speech. But Mark Zuckerberg reportedly suspects that this was all part of Jones’ plan. 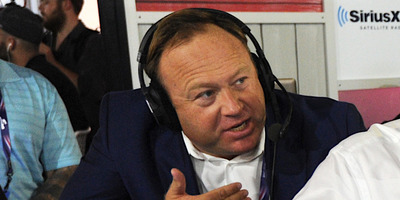 According to a new report from The New York Times published Friday, citing anonymous sources, the Facebook CEO mulled over whether the faux-newsman “was purposefully trying to get kicked off the platform to gain attention” before finally pulling the trigger after Apple moved first and booted the Infowars podcasts from its iTunes directory. In other words, Zuckerberg thought Jones might believe the positives of getting banned from Facebook would outweigh the negatives, before the CEO ultimately bowed to public pressure and banned him anyway. 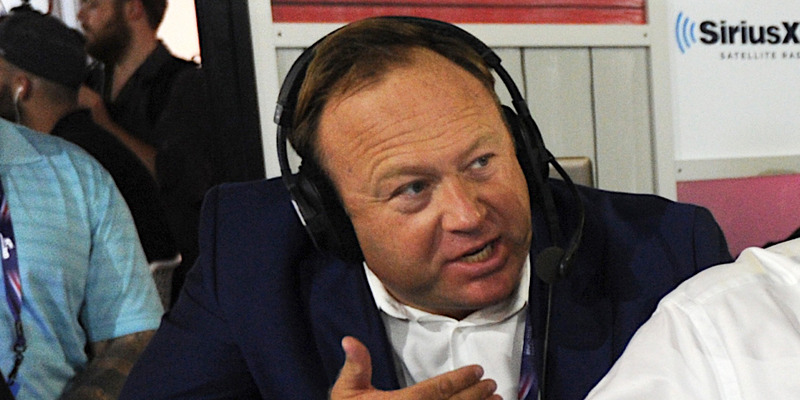 Indeed, in the wake of these bans, the official app of Jones’ Infowars network has shot up the charts of Apple and Google’s mobile app stores, giving him a major publicity boost, at least in the short term. In recent months, Facebook and other social networks have come under intense pressure over the spread of misinformation and hoaxes on their platform, with critics calling them to do far more to halt the spread of malicious falsehoods. The recent moves to eject Alex Jones suggests a potential sea change in tech firms’ approach to policing their platforms and their view of their responsibilities. That said, Twitter, unlike most other major social networks, has refused to crack down on Jones, insisting he doesn’t violate its rules – though a recent analysis from CNN suggests otherwise.